Align your career with hundreds of thousands of elite industry experts by learning the strategies, tactics, and vocabulary attributed to your profession. Our certification training courses are designed to transfer these framework fundamentals to you along with a healthy dose of practical lessons so you can pass your certification test and dramatically increase your career effectiveness. "Lots of material. Short amount of time. Excellent test prep!" Our skill development courses represent over 3000 hours of research canvassing the best frameworks, references, and practical guides. 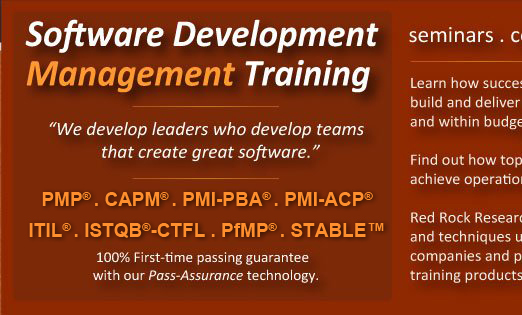 Magnify your ability to lead software teams and improve your skills, tools, and techniques by enrolling in one or more of our skill development courses. "This course opened my eyes as to the importance and complexity of requirements then gave me a whole bunch of very practical ideas and suggestions to make immediate impact!" 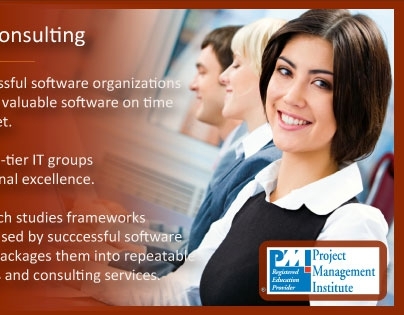 Our courses are appropriate for junior and senior software professionals. Attendees frequently tell us they wished they had attended a course like this years ago. Proven to lower the total cost of application ownership and increase the ROI of your development efforts, Agile development practices are here to stay. Becoming Agile is a journey and the sooner you get started the more effective you will be in your career.